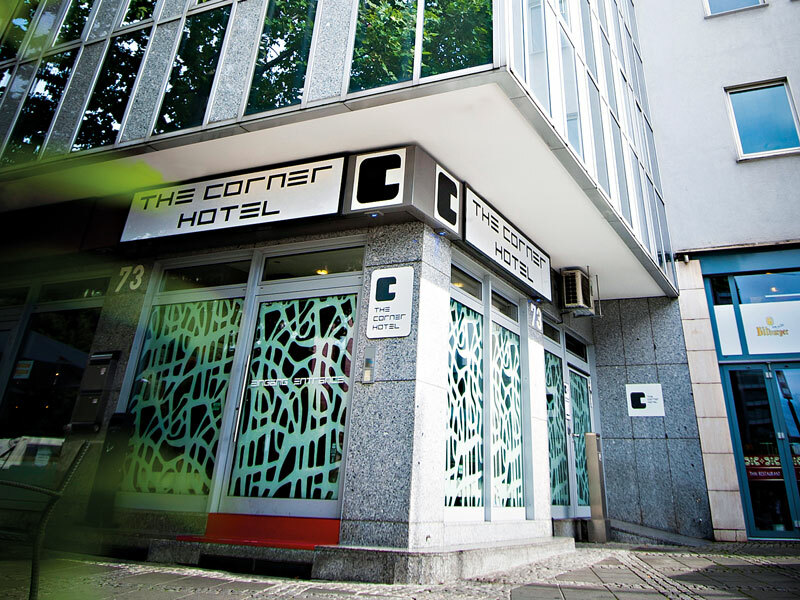 For visitors arriving in Frankfurt by air, a direct train from the airport followed by a two-minute walk will bring them to the door of the Corner Hotel. From there, it’s just a few more minutes to Messe Frankfurt, one of the biggest and most important fair and exhibition sites in Germany. The hotel is an excellent destination for visitors to the city, whether they are travelling for business or pleasure; it has easy access to banking and business sites and the main shopping, cultural and tourist attractions. 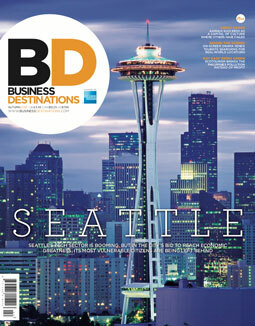 The Corner Hotel’s 50 guest rooms include superior, comfort and economy accommodation. Air conditioning, soundproof windows, a minibar, telephone, flat-screen TV, radio, digital safe, tea and coffee-making appliances and a hair dryer are all standard features in every room. Ironing boards, bathrobes and other items are available on request. The TV carries German and international channels, while superior rooms also include Sky channels. Of course, free Wi-Fi is available everywhere in the hotel. Furthermore, guests can enjoy the generous hot and cold buffet breakfast at the Corner’s adjacent partner hotel. Frankfurt has no shortage of fantastic cuisine to offer. The hotel building itself contains two Japanese restaurants offering sushi and izakaya dishes. Outside the hotel, food from around the globe can be found. The city has a number of excellent Turkish restaurants, with one of the most unique and popular being the Dönerboot. Taking the form of a boat, the Dönerboot sails along the Main River selling kebabs to those walking beside it, as well as to bargemen on the river itself. Italian, Thai and Indian food can also be found in abundance, as well as pubs and coffee shops; the hotel staff are always available to give recommendations. Just a 10-minute walk – or two stops on public transport – will bring shoppers to the city’s retail hotspots, including the newly built Skyline Plaza shopping centre, which houses international retail brands and a large food court. For a more boutique shopping experience, head to Wallstraße, where clothing, vinyl and artisanal food shops all stand beside one another. Those wishing to spend some time outside should make a trip to the Palmengarten botanical gardens. Opened in 1871, the Palmengarten features landscapes and greenhouses displaying the flora of many different climates, from the tropics to the subarctic. Inside the Palmengarten’s clubhouse is the two-Michelin-starred restaurant Lafleur. You only need to walk for 10 minutes to find yourself in front of the beautifully restored Alte Oper, Frankfurt’s main concert hall. The centre of Frankfurt is compact, meaning its abundance of sites are easily discoverable by foot. Museums of every sort line the nearby Main River; the Städel, one of Germany’s oldest museums, is home to a comprehensive collection of European art from the 14th century until the modern day. Just across the river, near the restored 15th-century Römer city hall, sits the Historisches Museum, where cultural and historical objects depict Frankfurt’s history. Literature fans can make their way to the birthplace of German writer Goethe and explore each room in the four-storey house. The Gray Line buses, which provide hop-on hop-off city tours, are a perfect way to discover all that Frankfurt has to offer. The brightly coloured Ebbelwei Express tram, meanwhile, brings its traditional charm to a city tour. Every weekend, once all its passengers have received their complimentary pretzels and cider, the tram takes an hour-long route around the city. Tickets for this and much more can be purchased at the Corner Hotel’s reception.